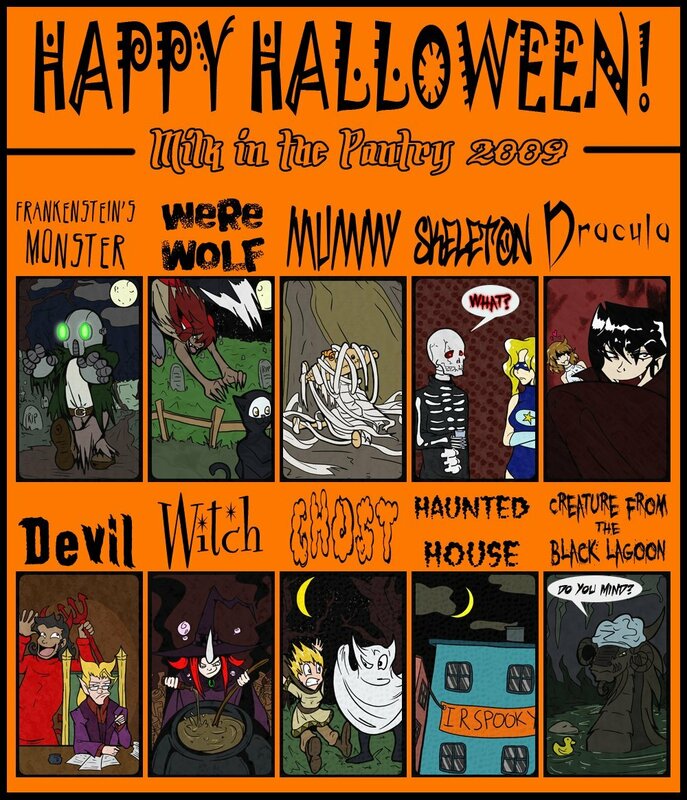 NJ spookied up all the milkinthepantry comics for Halloween 2009! You may remember that NJ's last giftart turned me into a ghost. It looks like I got my revenge on Cerintha.